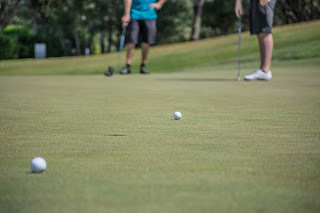 Standing near the tee box last week, I watched as a golfer took his swing and noticed the results from his efforts - the grunt from the player didn't surprise me, nor did the golf ball's lack of distance. The golfer believed he made a decent enough effort, which he did...the ball moved forward...but the outcome could have put him farther down the fairway and in a much better scoring position. He'll never become a scratch golfer that way! I wondered if he knew of his inherent swing power leaks. I pulled out my smartphone and took notes. Golfers can play for thirty years without taking a lesson and be happy in their ignorance - Golf for Beginners seeks to make players think about their swing and game to make the sport more enjoyable. 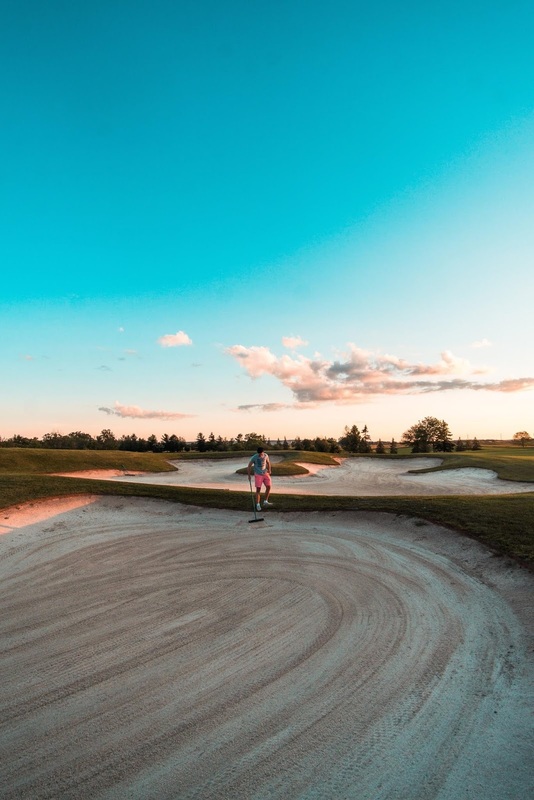 For players of the sport that read this golf blog, I have put together a list of basic problems which are fixable on the driving range so that you can come out swinging on the golf course! 1. Decelerating: This means you are slowing down the club (and your golf swing) before impact. The proper impact of the golf club is just after the golf ball. An article in GolfInfoGuide.com offers the thought of driving a nail into a board - I was told by my golf instructor to think about chopping wood...either way, you get the idea. 2. Chopping at the ball and not finishing your golf swing: GolfDistillery.com says it best...hit through the golf ball, not at it. The ball is not the target, the ball is in the way of the swing! 3. Backing up when you're taking a swing: The dreaded "reverse pivot" usually comes from improper weight shift. "The reverse pivot results in a bad weight shift. This is the No. 1 killer of proper golf swings," says Ernie Boshers, in a teaching article in Golfweek.com. 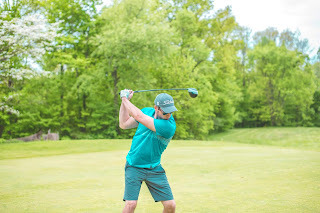 This golf blog is no substitution for receiving golf instruction from a qualified professional - make an appointment with your PGA teaching pro today if you think you have a golf swing power leak. Add any golf swing power leaks to the comments section of this golf blog and tag us on Twitter @Golf4Beginners. The Logic of Scratch Golf - Lessons learned from my journey to breaking 80 is a guest post written by Carlo Reumont of Fast Learners. Please see below for his bio. Playing a single handicap is a dream come true for most amateur golfers. And rightly so! In my personal experience, I can say golf is a lot more fun since I got my score below 80. 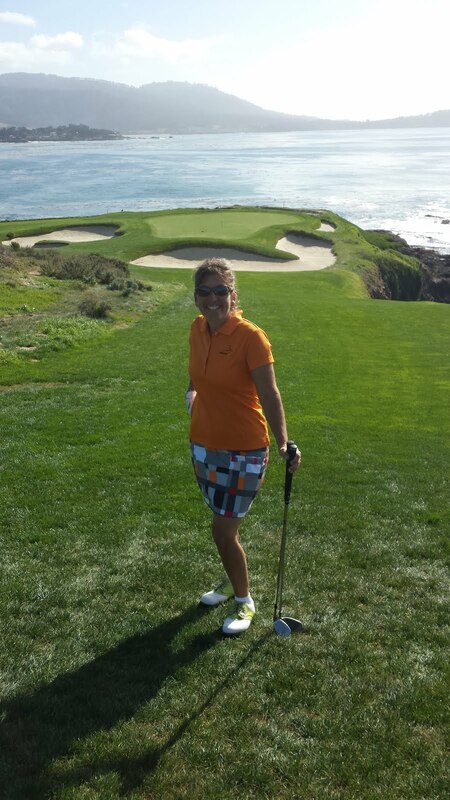 Because I am not working golf anymore, I am truly PLAYING golf. After all, it is still (just) a game. 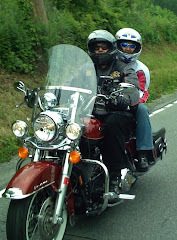 Looking back, emotionally it was an adventure full of ups and downs, twists and turns. Logically, however, my path was straightforward. I went through five phases in developing progressively as a golfer. Today I would like to share this logical process with you because I believe any golfer, with an ambition that results in smart, consistent practice, can break 80 and play scratch golf. Once you have the right practice routines cut out for you and found the right golf clubs for you, it just repetitions and smart practice. Naturally, this is only a small portion of the wealth of knowledge and exercises available to play scratch golf. For some handy ideas of how to save shots, without changing your swing, you can get and implement the steps from this 6 Step Guide. 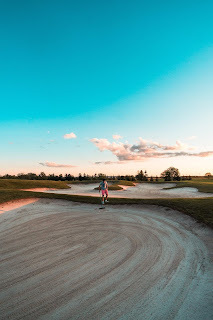 Yes, there are many reasons to go out and play golf: enjoy nature, connect with friends, get your mind off every-day life, exercise, hit a good shot or two (or three), the atmosphere of the country club and so on. if golfers are honest, the greatest joy in golf is tied to numbers - to our score. But, what is a low score? For us amateurs, let us choose even PAR as a relatively objective indicator of solid golf. And how do we shoot PAR? Asking that would be like asking “How do you bring the horsepower of a car onto the road?” There are too many possible answers to point at only one thing. To score PAR, you must be able to bring your score home. 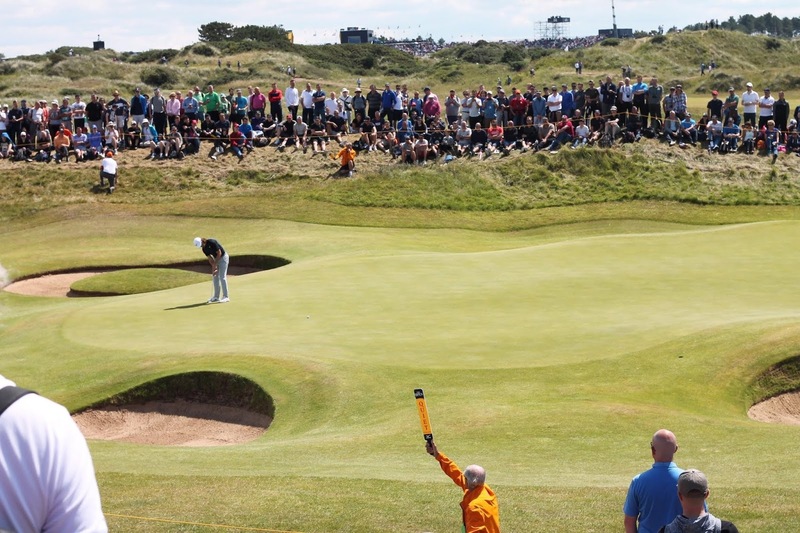 Playing PAR or birdie once, or even twice, is NOT enough to play PAR on 18 holes. To bring our score home we want to stay out of trouble and, on top of that, be able to capitalize on the good shots we make hole by hole. It sounds easier than it is! 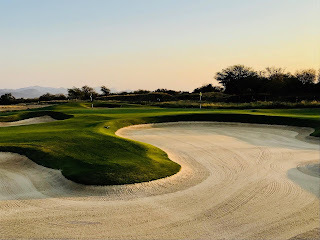 Try playing two PARs or two birdies in a row and see how your mind and your heart start racing in excitement - excitement that distracts and gets you off course. Getting the score home has a lot to do with curbing our enthusiasm and staying focused. And this plays into our cards on the green as well. Putting is mostly mental. In conclusion, you will sink those PAR-saving putts and birdie chances more likely than not, once you can get your excitement out of the way. What brings the score home? 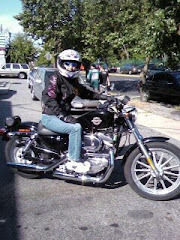 Let us go another step backward keeping the end in mind. What are we building on, when we are bringing our score home? “Great ball striking!” you might be thinking. Close, but not quite there. There is an intermediate step. What if you have excellent ball striking skills that play the ball into the water or out of bounds? Good ball striking and playing good shots are two different things in golf. Not every good shot comes from good ball striking and not every good ball strike is a good shot. To bring your score home you must learn to master the golf course. Golf courses are designed - with hazards, yardages, out of bounds and downright traps. Anyone can learn to play straight shots on the driving range. Yet managing to bring these skills on to the golf course is a skill per se. Mastering the course means to know your own game and to play it according to the conditions of the course and the weather; it means to calculate risk reasonably; to have multiple ideas to play one shot; to have options with the clubs available. As far as I can tell this is all about experience. In this phase, we transition from WORKING golf to PLAYING golf. Until here, the golf swing is very much in our head. But from here, we are to play freely and spontaneously. So, this was phase number 4. Let us think a step back again and ask the following questions with the end in mind. Where does mastering the golf course come from? What enables us to get this good, that we can play the course, instead of the course playing us? When do we have free capacities to put our focus on mastering the course? It all relies on the earlier phases. Once we can skillfully swing the club at the ball with not only one club, but the range of clubs. Let us imagine for a second that hitting the ball well is simply a given part of your game (spoiler alert: this is phase two). Playing well with one club of the tee is not good enough. You must learn to play well with various clubs from various lies. All professional golfers show how this is done. One of the best examples ever to be seen on tour was the Spaniard Seve Ballesteros. Seve would play out of a green-side bunker with a 3-iron. You don’t have to do like Seve to play scratch golf. But you do want to be so flexible in your options of playing a shot. Scratch golfers are willing and able to play a range of options that come spontaneously. In the end, this point is all about increasing your options to navigate around the golf course. We want a low score. So, thinking backward again, what might we need to master shot-variations with a range of clubs? We need to learn to swing the club at the ball! this does NOT mean we want to learn to hit the ball. Think logically here: We cannot hit the ball. The golf club hits the ball. We can merely swing the club at the ball. There is a world of difference! Hitting the ball implies trying to swing. Swinging the club at the ball implies getting in flow and trusting it. So, yes, we want to get the ball closer to the hole. Still, we will only achieve that once we have a way of swinging the club precisely. Next time you hit the range, don’t practice hitting balls. Practice swinging the club at the ball. See what a difference it makes! One of the most empowering aspects of this approach is that focus on what we can control: our body movements. 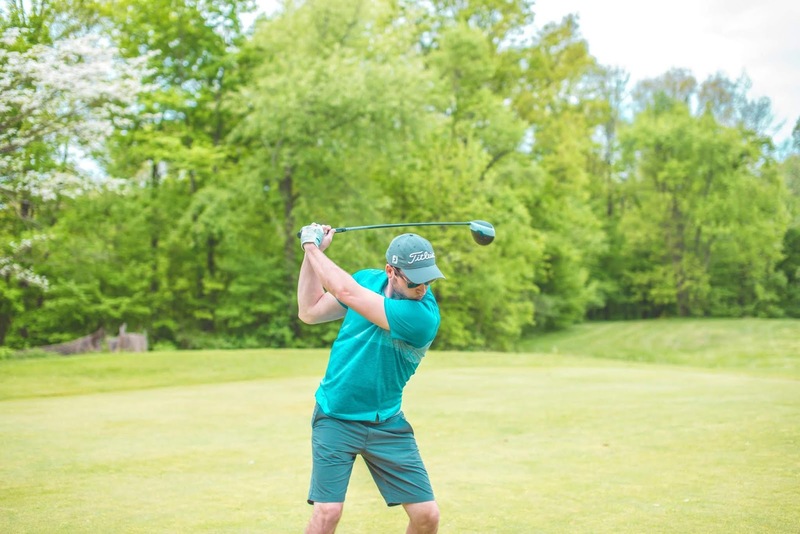 We can practice the fundamentals of the swing step by step, session by session, and learn to appreciate the process that makes a great golfer. PROCESS comes before performance. It’s logical, isn’t it!? And still we are not done with digging to the core of the process of becoming a scratch golfer. You have come quite a way with me in this post. Congratulations! It will be worth, trust me! There is still one step to think of even before we swing the club at the ball. It’s a baby step, yet a very crucial one. “Develop a proper golf swing!” Yea, this may sound self-evident, but it might be one of the best kept “secrets” in golf. As long as we do not swing the club properly, we cannot hit the ball properly. Yet what do most golfers do when starting out? They try to hit the ball. How can you hit the ball if you cannot swing the club?? it does not take a ball to determine whether we can swing the club or not. You see the logic here? It is simple, but it is difficult at the same time. 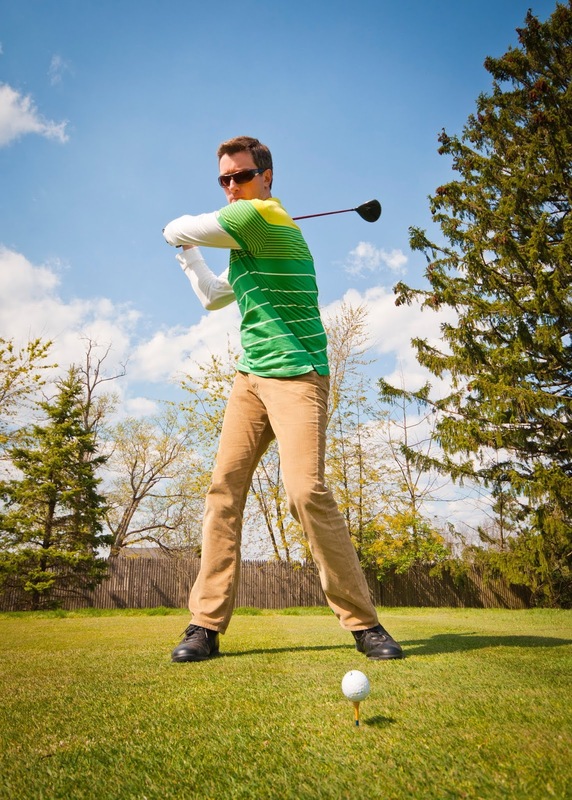 Learning to swing the golf club is the starting point of your journey to play scratch golf. So, how does this sit with you? How are you feeling? Motivated? Overwhelmed? Inspired? Ready for action? Curious to find out more? This is a journey that has worked for me. And trust me, it will work for you if you work it - no matter where you stand in golf right now. Starting with this simple exercise is something you can practice anywhere - even without a ball. Practicing without a ball might even be beneficial. Swinging the club back and forth in your backyard, in your living room or in the park can get you focused on what matters in your swing, instead of getting all revved up about hitting the ball. As stated earlier, this is only a small portion of the wealth of knowledge and exercises available to play scratch golf. For some handy ideas of how to save shots, without changing your swing, please find out more at www.thefastlearners.com. I started playing golf in 2001 and recently achieved my goal of becoming a scratch golfer. 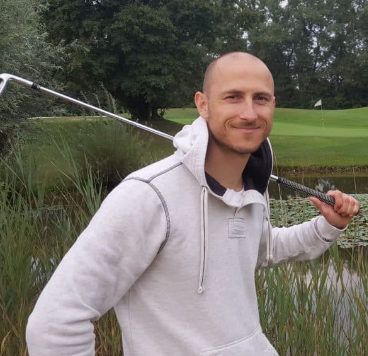 Now I help people to play golf – simple, good, repeatable golf – whether they are beginning, re-starting or finetuning. Your focus is gone, your strength has waned and your muscles have left you sore to the core. What can the average golfer do to recover after playing too much golf? Some golfers say, no matter how much golf they play it is never enough! Recently, the Myrtle Beach Patriots attempted to play one-hundred holes of golf to benefit disabled veteran and their families - a noble cause. After a long, and tiring, golf season, Phil Mickelson mentioned after the Ryder Cup, that he believed he "made a bit of a mistake" by playing too many events in a row. 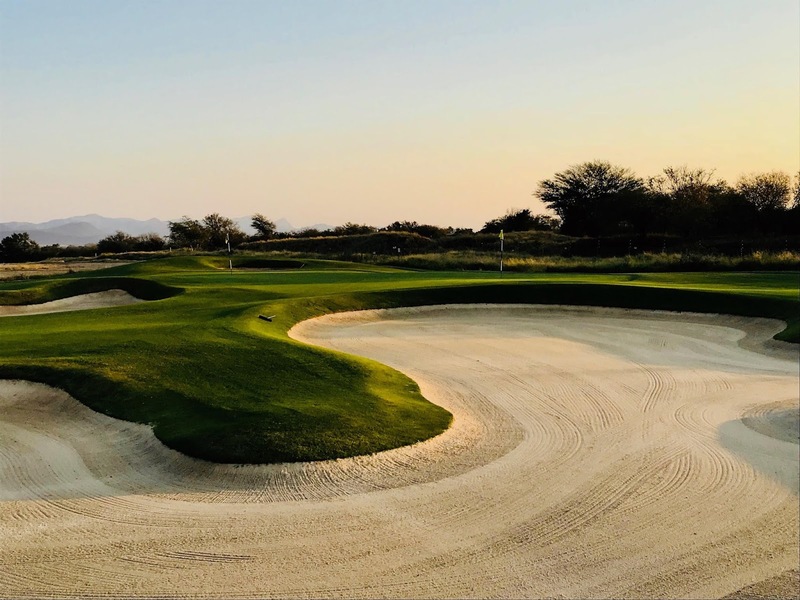 As amateur golfers, we may not play in tournament after tournament, but the same might be said if we decide on another nine holes after a grueling eighteen comes to a close. 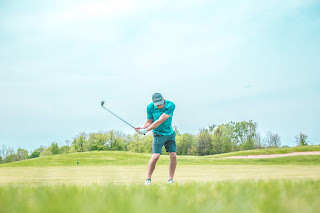 Golf for Beginners tends to agree with Mickelson...twenty-four golf starts in a row for a PGA Tour pro are way too many rounds...especially for a more seasoned player who is no longer in his twenties and who quietly suffers from Psoriatic Arthritis. In this article, we give you three ways to stay in good health and bounce back when your body says no. 1. Hydration and Food: Sounds simple enough but most golfers don't drink enough water and don't grab snacks that will energize them during a round. Try a drink that has low sugar content and electrolytes like Vitamin Water Zero. I also keep healthy snacks in my golf bag - a snack at around the tenth hole is a fruit and nut bar or a 10th Tee Golf Nutrition bar. 2. Get Loose: Make sure you stretch your muscles before you hit your first shot of the day and keep loose throughout the day. If you are playing golf several days in a row, follow the same routine and don't overwork yourself on the driving range. Practice correctly with most of your shots being chips, pitches, and putts. 3. 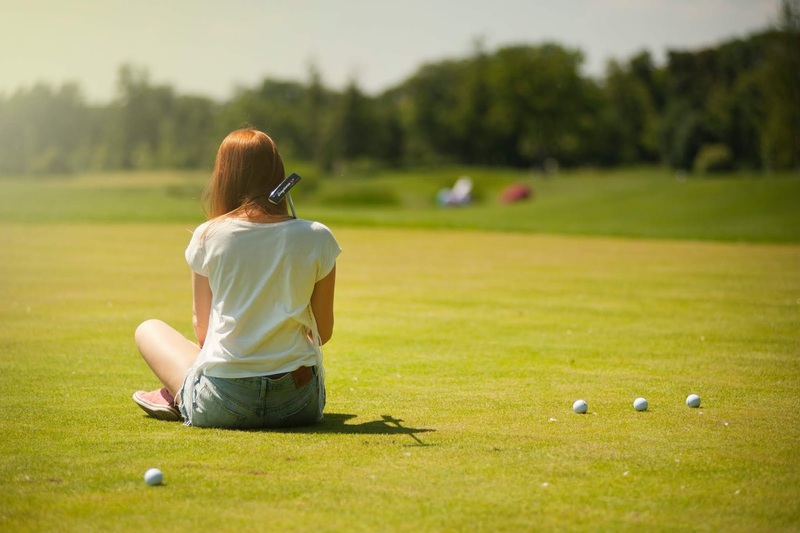 Rest: No matter how many holes of golf you will be playing, take time to rest both body and mind in between shots and rounds - you need both to function well for your best chances of success. Feel free to comment at the bottom of our Golf for Beginners blog. Although Team USA golf fans grasped onto some small level of hope during the Ryder Cup singles matches, Europe held off their opponents and reclaimed the chalice. You win some, you lose some...but a thrashing should never have taken place. "Our studs," said an anonymous someone in the U.S. team room, "didn’t play like studs this week." The final Ryder Cup count was Team Europe with 17.5 points and Team USA at 10.5 points. Tiger Woods failed to thrill (but brought a large audience by just being on the team) and Mickelson, who is on-again, off-again about this being his final Ryder Cup appearance, was benched on Saturday and had a lackluster overall performance. It is understandable why these two great golfers continually play in the Ryder Cup although it doesn't help Team USA secure a win. Mickelson, for example, according to RyderCup.com, "has the most losses than any player in U.S. history, though Tiger Woods is now only one behind after three straight defeats in France." So, how can Team USA take back the Ryder Cup in 2020? The first fix is fairly obvious; don't choose Tiger Woods and Phil Mickelson as captains pick for Team USA. Of course, if the captain agrees, this means a large loss of overall viewership, from the USA to across the pond (although I believe that the two, working together, would make interesting Team Captain/Assistant Captain). If either of the golfers makes it onto the team due to their own merits, this option will not work. The second fix involves rescheduling the FedEx Cup finale... the Tour Championship, as it is possible for those players to be very tired going into the following week and performing at their peak. Perhaps the Ryder Cup needs to be moved ahead on the schedule one extra week to allow the players flight time and a short rest period before this stressful event? According to several online blogs, Tiger Woods, looked "tired" and "listless" during all of his Ryder Cup matches and that is being blamed on his tight Tour Championship schedule which bled into the following week's matches. Finally, how do you think Jim Furyk did as the Team USA Ryder Cup captain? In my opinion, he did not utilize Patrick Reed to his best advantage - Reed sat on the sidelines during foursomes matches...and this is where he shines, and where he has been unbeaten. "For somebody as successful in the Ryder Cup as I am, I don’t think it’s smart to sit me twice," Reed said when interviewed by the New York Times. What do you think can be done so Team USA has a chance at the 2020 Ryder Cup? 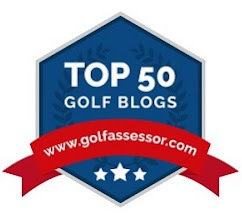 Comments are welcome in this golf blog and tag us with your ideas on Twitter @Golf4Beginners.